A CANBERRA Greyhound Racing Club spokesperson has labelled a Sydney Morning Herald article, which has put the blow torch on a race held in the Capital last year, a ‘dishonest piece of journalism’. Kel Watt said the claims of race fixing were a tactic by the ACT Government to garner the sport bad publicity as it attempts to shut it down. The October 9 race, at the Symonston track, involved a greyhound named Greysynd Ace which won at the fixed odds of 19/1, while the race favourite, trained by Andy Lord, finished fourth. It then came to light that Greysynd Ace had been issued a stand down period of 10 days when competing at the Richmond meeting four days prior, due to a weight variation. The dog was subsequently disqualified and the prize money was returned, with a post-race sample taken from Greysynd Ace coming back clear for drugs. 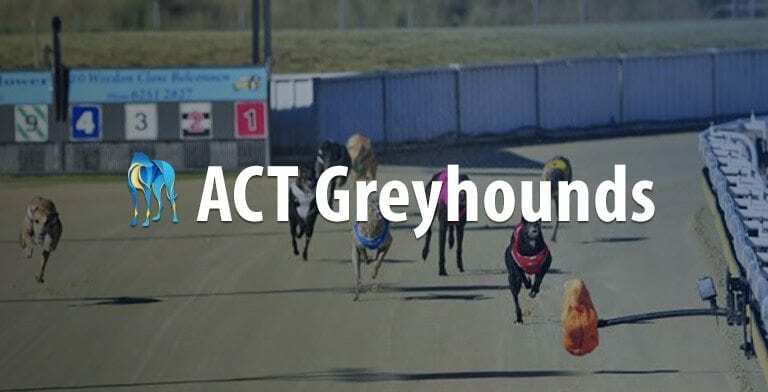 But it has now emerged that the ACT Gaming and Racing Commission believe the race may have been fixed, with Fairfax newspapers carrying a story which claims race fixing has been an issue for Greyhound Racing New South Wales on more than one occasion. Watt said the Greysynd Ace accusations had no merit and said the mix-up was largely the fault of the trainer Wayne White. Despite being a member club of GRNSW, the Canberra industry has a board of stewards which independently governs disciplinary matters. “The dog raced, it won, it came back with a clean swab so we know it wasn’t drugged and there was no unusual betting activity – there was no large plunge – and they go hand in hand when talking about race fixing,” Watt told Australian Racing Greyhound. “An inquiry commenced and the disqualification of the dog occurred less than 24 hours after the race. Canberra steward Patrick Day told Australian Racing Greyhound the inquiry is expected to be finalised this week, with White already charged with a breach of Greyhounds Australasia Rule GAR 39 (3) on March 5. The stewards are looking at the circumstances surrounding the incident and are considering utilising an independent expert to analyse current procedures to ensure a similar situation does not occur in the future. Watt said the inquiry had not been rushed and will be conducted in a timely manner to ensure the matter is dealt with correctly. “The integrity of the sport is reliable on appropriate and proportionate responses to these sort of events – not knee jerk reactions to a sensationalised headline or political pressure. Watt took aim at the State government saying the SMH report was trying to demonise the greyhound racing industry – with the government currently in a legal battle with the sport over plans to cut funding as of the next financial year. “It is clear that you’ve got animal liberationists working hand in hand with a minister under pressure trying to end the racing industry,” Watt said. “They are attempting to generate bad news for greyhound racing whilst pursuing their case of bringing down the sport. “Unfortunately the really misleading headline and the first paragraph makes things look really bad. The findings from the Canberra stewards’ investigation into the incident are expected to be released later this week. The Canberra club has vowed to lodge an official complaint with the news organisation which made claims of race fixing and the Press Council.